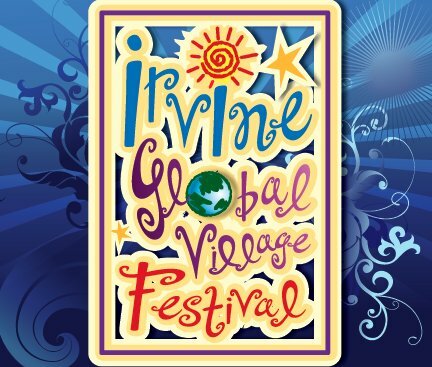 This Saturday, September 28, 20013, is the Irvine Global Village Festival! We are proud of saying that the Irvine is not only among the most diverse cities in the nation, it is also the most fully integrated. In Irvine, there are no ethnic, linguistic, religious, or cultural enclaves: every neighborhood reflects Irvine’s growing and harmonious ethnic, linguistic, religious, and cultural diversity. How diverse is Irvine? A non-English language is spoken in a remarkable 58% of Irvine homes, with more than 70 different languages spoken in residences throughout Irvine. Nearly 40 % of Irvine’s public school students have a primary language other than English. Irvine is also home to more than 80 different churches, mosques, synagogues and other places of worship, serving Irvine’s expanding cultural and religious diversity. Irvine’s Global Village Festival is truly an expression and a celebration of Irvine’s diversity. This year marks the 12th anniversary of the Irvine Global Village Festival – Irvine’s largest and most attended community event. Founded in 1998 by a group of Irvine residents to help promote understanding and build harmony within Irvine’s many diverse cultures, the Global Village Festival is now Irvine’s signature event, featuring more than 100 performances on five stages; international cuisine and food from more than 50 restaurants; an international marketplace filled with unique crafts and textiles; interactive, educational and entertaining cultural displays, demonstrations, and performances; an international village just for kids; and a world religions area, providing an opportunity to explore and interact with many of the numerous faith-based organizations in the Irvine area. Among the groups whose members have been integral in organizing the Irvine Global Village Festival are the Algerian Cultural Society of Southern California, the Asian American Senior Citizen Service Center, EKTAA Indian Cultural Center, First Drops Interfaith Group, Friends of Outreach (for Irvine seniors), Hindu Swayam Sevak Sangh, Humanity United, the Irvine Chinese School, the Irvine Evergreen Chinese Senior Association, the Irvine Iranian Parents Association, the Irvine Multicultural Association, the Irvine Thai Arts & Culture, the Orange County Jewish Community Center, NEDA Iranian Senior Group, Network of Arab American Professionals, Orange County Chinese Artists Association, Orange County Veterans Employment Committee, South Coast Chinese Cultural Association, and TTIYA Foundation. Among the performers scheduled to appear at the Irvine Global Village Festival are the Ada Bollywood Dance Academy, the American Association For Chinese Culture Promotion, the Ava Persian Dance Studio, Ayres De Los Andes, Ballet De Sally Savedra, Ballet Folklorico Casas Guanajuato, BBoys Anonymous, Benjamin Ordaz, Bit-O-Irish Trio, Bolivia Internacional, Butler Fearon O’Connor School Of Irish Dance, Brian Young & The Blues Station, Caribbean Jems Dance Group, English Joy Stiltwalking Duo, Fraternidad Diablada Bolivia, Galaxy Youth Arts Performing Group, Hawai’i Club At UCI, Hollis Long, Hozan Murat, IKPA (Irvine Korean Parents Association) – Samulnori (traditional Korean percussion), Ilhan Ozulu, International Peace Choir, Irvine Korean Line-Dance Group, Irvine Thai Arts And Culture, It’s Samba Show Time!, JJ & The Habibis, Joy Shannon And The Beauty Marks, Kerry & The Surftones, Kids Imagine Nation, Kuhai Halau ‘O Leilanileikukuiokalani & Aloha Hawai’i Dancers, La Sirena Y Mar De Ashe’, Las Estrellas Ballet Folklorico, Lisa Haley & The Zydekats, Mahoor Ensemble led by Alireza Khademi, Mainstreet German Trio, Maple Youth Ballet, Mei-Ling Lee Chinese Dance Group, Mexikas, Moonsville Collective, Naked Rhythm, Nartthasin Thai Dance Group L.A., Nicholson Pipes And Drums, Nika Imani, O’ahu Hawaiian Band, OC Ikeda Youth Ensemble, Orange County Friendship Choir, Renascence School International, Rising Phoenix Morris, SANAD Academy Group, SCCCA/ICS, Street Beat, Syrtaki International Dance Ensemble, the Cambodian Family Dance Troupe, the Filipino American Community Of Orange County, the Miner 49′-ers, the Jewels That Raq! Belly Dance Group, and the Tuscany Trio. What an incredible array of world and American music, dance, and performance! I am looking forward to celebrating the many facets of Irvine’s diversity at the Global Village Festival – and I look forward to seeing you there! When: Saturday, September 28, 2013, from 10:00 a.m. to 6:00 p.m. Parking: There is no on-site parking at the event. While parking is not available at the event site, FREE shuttle buses will be in service to transport guests to and from the Festival’s satellite parking locations at Main and Jamboree and Woodbridge Community Park. Shuttles will be running from 7:00 a.m. to 6:30 p.m. Handicapped parking will be available at the San Juan or Civic Center parking lots adjacent to Bill Barber Park. Note: By far the easiest and greenest way to get to the Festival is by pedal power. The City of Irvine has an extensive system of bike trails to get you to the event, and once inside, riders can safely and securely store their bikes at the Festival’s free Bike Valet area, hosted by the Bicycle Club of Irvine and the Orange County Bicycle Coalition. This entry was posted in Uncategorized and tagged City of Irvine, Global Village Festival, Irvine, Irvine Arab American, Irvine California, Irvine Cambodian, Irvine Chinese, Irvine Community Services Commission, Irvine Community Services Commissioner Melissa Fox, Irvine culture, Irvine dance, Irvine diversity, Irvine Filipino, Irvine Global Village Festival, Irvine housing market, Irvine Indian, Irvine Iranian, Irvine Irish, Irvine Japanese, Irvine Jewish, Irvine Korean, Irvine Master Plan, Irvine Mexican, Irvine multicultural, Irvine music, Irvine parks, Irvine Persian, Irvine population, Irvine real estate, Irvine religion, Irvine Thai, Irvine Vietnamese, Melissa Fox, Melissa Fox blog, Melissa Fox Irvine, melissafoxblog, melissafoxblog.com, melissajoifox, Orange County JCC, Orange County Jewish Community Center. Bookmark the permalink.